Pioneering “Woman In Air Cargo” Mathangi Krishnan could easily pass off as my aunt next door. She is measured in her conversation, and there is an air of calm around her, which belies the presence of Madam Mathangi in the midst of the cacophony and helter-skelter of air cargo terminals. But that is where her heart is. And, she emphasizes the need for patience in an industry where success is measured by the minute. Her meticulous planning saved the day for many some years ago. Dignified to a degree, after a lot of insistence, Madam Mathangi opened up to recount one of her most satisfying moments. “It was the successful uplift of a biological sample preserved in Liquid Nitrogen for research. “The cargo originated 200 kms away and total transit time permitted for delivery to destination was 72 hours. "Two successive holidays were staring into my face. “However meticulous planning and coordination with everyone involved—the shipper; carrier; NOC, from ADC; Customs clearance and uplift as a DG cargo and monitoring the transhipment at the wee hours of the day—at the end of the successful mission, the satisfaction was really unmeasurable,” she declared. Madam Mathangi stepped into the freight forwarding business, she said because she was “fortunate” that S Natesa Iyer was “a family business”. She is all praise for the support she received from her family. In fact, her initial years living in a joint family came as a boon. Later she tells me, gender bias, especially in India, cannot really be wished away. But she is quick to point out that “if the competence of the person is well demonstrated, respect and admiration automatically follow. “Maybe one needs to travel that extra mile but the rewards make this journey worth the effort,” Madam said softly. “From the very first day, I have been treated with a lot of respect and dignity. The lady begins her day attending to overnight mails from customers and follows up shipments in transit. Madam does not shy away from meeting key customers and often downs a coffee to seal relationships. Part of her duties include planning clearances, both outbound and inbound. Managing the office is a challenge but a focused individual like Madam Mathangi is always on the ball. That ability has served her well in acquiring knowledge on the job about all forms of freight: ranging from Dangerous Goods to live animals and special cargo. As she puts it so simply, “It is impossible not to learn at least one new thing every day.” And all of it does not happen within the confines of the office. “Every small happening in any corner of this world,” she maintains, “will affect your day-to-day experience, hence the opportunity to learn and update is realtime. 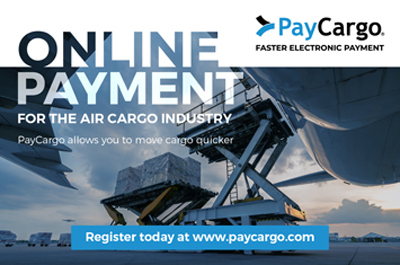 It was her way of saying, come, join the fun that is air cargo.